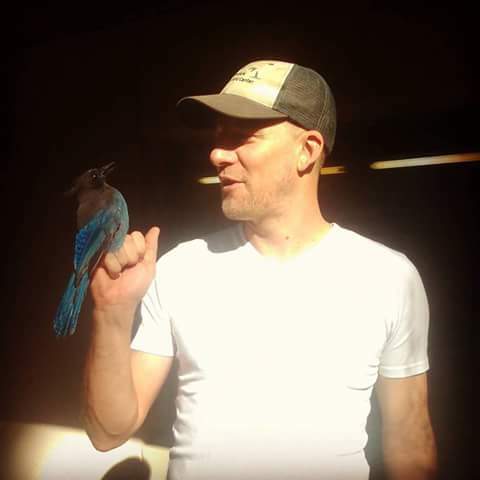 I am a terrestrial ecologist broadly interested in the interface between ecology, plant and animal behavior, and their application to conservation strategies. My work often focuses on the role of individual-level behavior or life-history strategies in shaping group-, population-, or community-wide processes. I use field observations and experiments, as well as quantitative approaches such as remote sensing and agent-based modeling, to address questions about life history strategies of plants and animals. My interests extend from understanding natural history variation in the light of phylogeny to testing theory and developing conservation strategies. While my work often features birds and trees, I have also worked with primates and rodents, and hope to work with many more taxa in the future. Find my publications here. Currently, I am a Postdoctoral Associate with John Fitzpatrick at the Cornell Lab of Ornithology. In collaboration with Reed Bowman, our work focuses on the role of biotic (seed production of oaks) and abiotic drivers on population dynamics of Florida scrub-jays at Archbold Biological Station. From 2014 to 2018, I worked at the Hastings Natural History Reservation with Walter Koenig, where we investigated drivers and consequences of mast-seeding in California oak communities. ​As a Research Associate with the Smithsonian Conservation Biology Institute, I collaborate with Scott Sillett and Brandt Ryder on a long-term research project on the ecology and behavior of island scrub-jays, endemic to Santa Cruz Island, and their role in the reproductive strategies and restoration of oaks on California's Channel Islands. Finally, I collaborate with an international group of researchers interested in the drivers and consequences of mast-seeding - the synchronized temporal variation of seed production in tree populations. The aim of this group, led by Andrew Hacket-Pain (University of Liverpool) and consisting of leading researchers from around the world, is to assemble and investigate global (time-series) data sets of forest tree seed production. I enjoy communicating science to small and large audiences, ranging from school kids to scientific peers. Together with the UC Santa Barbara's Office of Education Partnerships and the Smithsonian Institution, I mentor students through the Smithsonian Scholars Program and spear-head an annual STEM outreach camp. Find out about the newest developments on the News page.